Winter Firewood is Quick and Easy with This 5 Ton Electric Log Splitter. The 110V electric engine delivers 1500W of power to cut logs up to 20-1/2 inches long and 10 inches in diameter. Hydraulic powered splitter splices wood with up to 16MPA of pressure for fast and sure cuts. 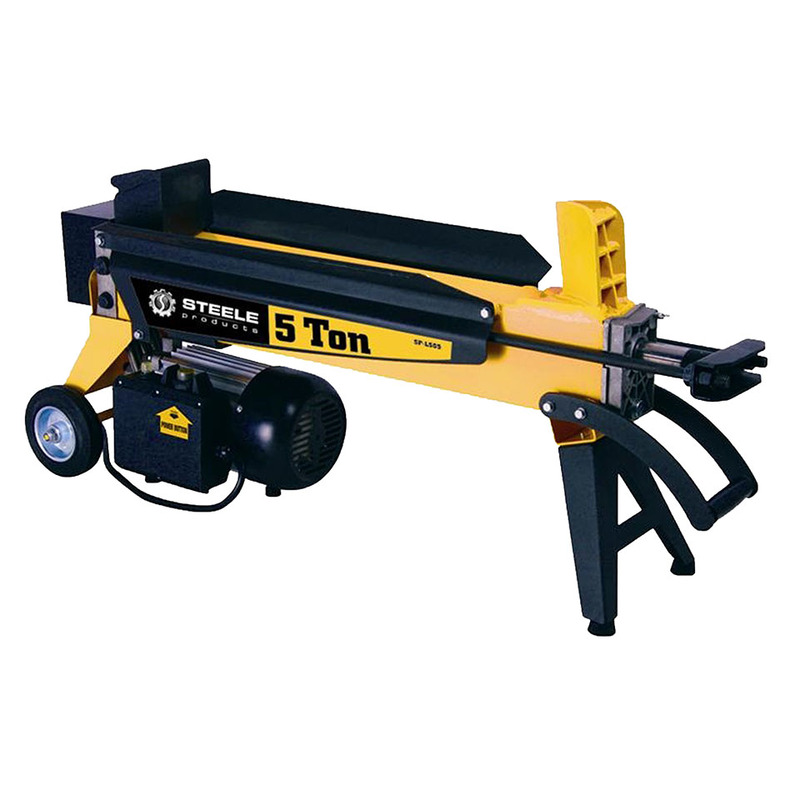 This 1500W horizontal position 5 Ton Electric Log Splitter is a great choice for use in and around your yard. Specially designed keeping home users in mind, this log splitter can assist you in your daily need for wood. Maximum Log Width (in.) 10"
Maximum Log Length (in.) 20.5"